It’s one of those places most people frequently pass by, but hardly ever enter. All the more since having a drink on Stanislavsky’s terrace doesn’t actually count as going inside. Let alone entering the balcony, which is reserved for special occasions. But this might change! 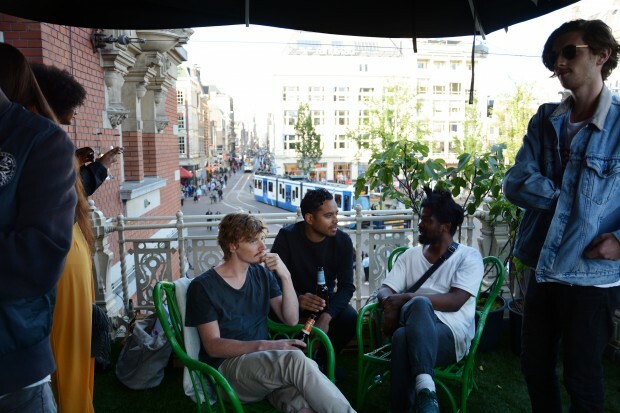 A few weeks ago Zomertuin opened its door; an urban park on that very Stadsschouwburg balcony over Stanislavsky, where Ajax used to celebrate their biggest successes. Zomertuin was founded by SSBA Salon. They were inspired by the High Line in New York, a former elevated metro track that was turned into a permanent city park. It’s open seven days a week during the summer, and on Thursday, Friday and Saturday SSBA provides musical and cultural entertainment, from poetry and yoga to open air cinema and DJs. So, unless it’s raining like the past few days, we suggest you go have a drink and enjoy the dynamics of Leidseplein in a more quiet spot.